The present precious, radiant and surpassingly-glorious royal gathering, let us hymn O faithful of all races and tongues, and of every rank and surrounding people, rejoicing in soul, and spiritually, let us celebrate, and let us speedily weave God-pleasing hymns for the Queen from [David's seed], and let us gather for a new feast of spring, and the celebration of all celebrations of our hope. Today, therefore, truly the noetic Powers of the Heavens reclined, and invisibly celebrate together with those on earth. Today, the prophecy of David is fulfilled, which says: “Let the heavens rejoice, and let the earth be glad.” For behold, the greatest joy has filled her who is Full-of-grace. Today, from the cold winter, the warm and flowery spring has shown forth, and the golden sun of rejoicing and happiness has dawned for us. Today, God-planted Eden is re-opened, and God-fashioned Adam, due to His goodness and love for man, enters again to dwell within. Today, the forefather's condemnation of sorrow is dissolved, and the corrupting exile and arduous penance of Eve ceases. Today, the ranks on high gather together with those on earth to dance together for this Holy gathering, and the world shines with light. Today, the spotless Church of God is magnified in form, and is adorned as with golden garments by the beauty of this day. Today, the much-seen and holy city of Jerusalem rejoices with those below and those above, and New Sion prophetically is joyful. Today, Bethlehem, the famed birth-place of David, is shown to be as heaven, and is adorned with a radiant bridal garment. Today, the city of Nazareth, and the precious Gethsemane, and every city and land hastens towards this wholly-bright feast. Today, kings of the earth and all people of this incomparable Royal city [Constantinople], royally celebrate the blessed memory of the Mother of God. Today, daughters of kings and queens, gather for the memory of the King's Bridal Chamber, from the rising of the sun till dusk. Today, young men and maids, mothers and virgins, and noble people of every rank, bless the Mother and Virgin and nourishment of our life. Today, the Holy of Holies is hymned by everyone, as heaven and earth and all creation celebrates together. Today, the holy book of the Prophets from all time, is brought amidst us, and each of them proclaims before-hand the grace of this Feast. 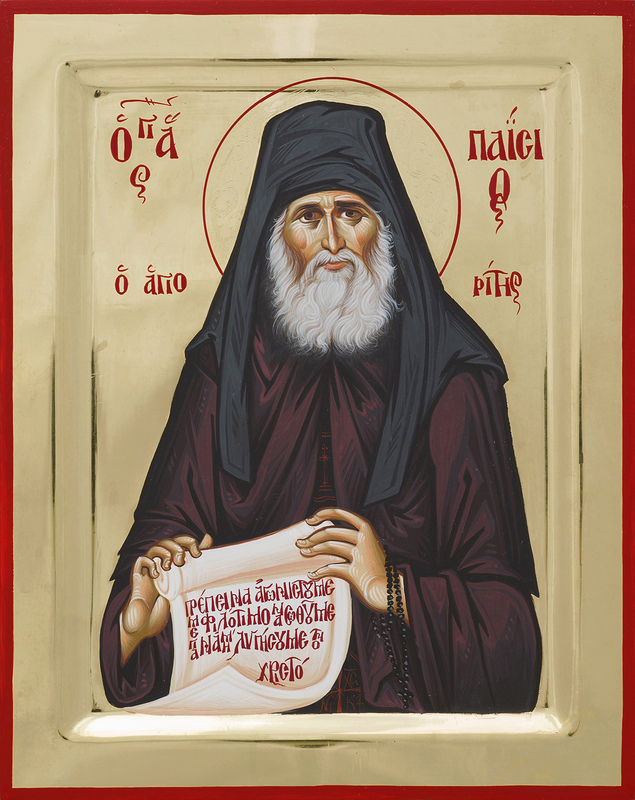 Today, the Patriarch Jacob rejoices, who spoke of you prophetically as that mystical ladder leading from earth to heaven. Today, that former Prophet and defender of the people of Israel [Moses], speaks of you as that bush which was burning, but not consumed. 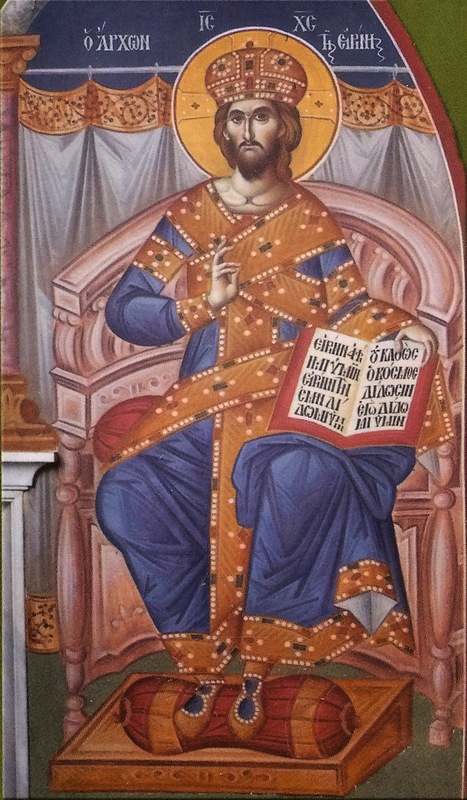 Today, Daniel the sublime, proclaims the future as the past, as he cries out: “The stone was cut from the mountain without hands,” in other words, without a man. Rejoice greatly, O Daughter of Joachim and Anna, who spotlessly gave birth to you with prayer, and who hasten also at this time to her who lived under their roof. 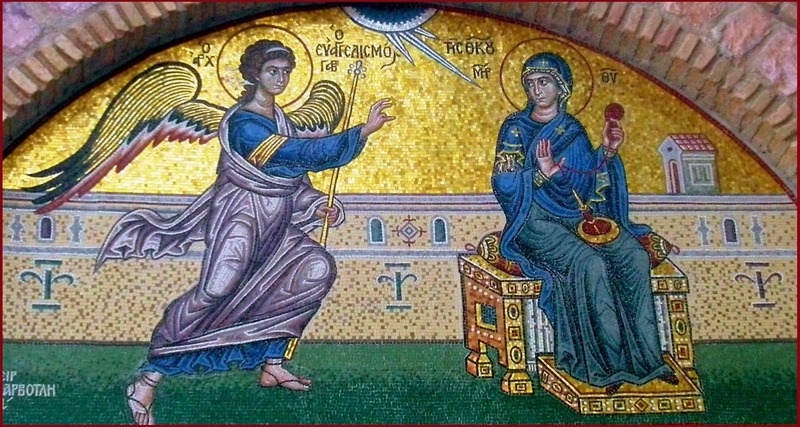 Rejoice greatly, O Theotokos and Virgin, for you truly heard the encomium of the Angel: Blessed are you among women, and blessed is the fruit of your womb. Rejoice, O Full-of-grace, from the royal line of David, and from the Levitical line from Anna the godly-minded one, who sprouted forth beyond all hope. Rejoice, O Full-of-grace, who from infancy was raised in the Holy of Holies. Rejoice, O Full-of-grace, who through an angel received tidings of joy, and became the forerunner of unspeakable and indescribable joy for the whole world. Rejoice, O Full-of-grace, for the King of all was adorned with a body [through you] as if adorned with a royal purple robe. Rejoice, O Full-of-grace, who bore within your womb the radiance of the goodness of the Father, and that Light that nothing can contain. Rejoice, O Full-of-grace, the fragrance-bearing earth and life-bearing vessel and new myrrh container of the Spirit, which filled the world with fragrance like a myrrh-seller. Rejoice, O Full-of-grace, the exalted and established Throne of the Creator and Redeemer of all, Who holds heaven and earth in His hand. Rejoice, O Full-of-grace, the spiritual temple of the majestic glory of Him Who was incarnate for us, and Who put on flesh for our salvation. Rejoice, O Full-of-grace, who bears life and light as a new-born babe, and nurses with milk Him Who poured forth honey formerly from the rock. Rejoice, O Full-of-grace, the rejoicing in soul of the whole world and the universal reverence, and the good intercessor for all sinners. 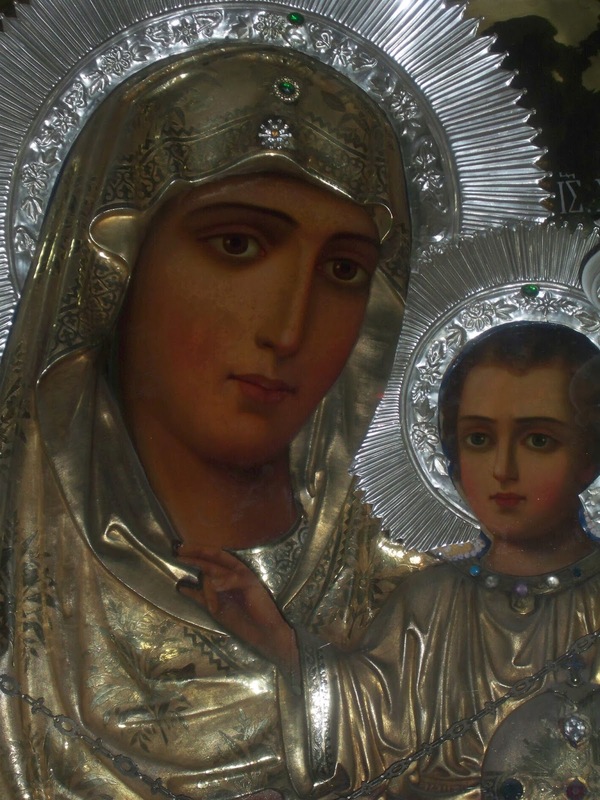 Rejoice, O Full-of-grace, O gate of those troubled and hope of those without hope, and the awesome protection for those who with good heart confess you to be the Theotokos. Rejoice, O Full-of-grace, you who bore the Master Who loves man for the salvation of our common race of men, and who entreats Him on behalf of everyone, as a Mother. "He who is clothed in blessed and grace-filled mourning as in a wedding garment knows the spiritual laughter of the soul." "My friends, God does not ask or desire that man should mourn from sorrow of heart, but rather that, out of love for Him, he should rejoice with spiritual laughter. Remove the sin, and the tear of sorrow is superfluous for your eyes. What is the use of a bandage when there is no wound? Before his transgression, Adam had no tears, just as there will be none after the resurrection, when sin will be abolished; for pain, sorrow and sighting will then have fled away." "When our soul leaves this world we shall not be blamed for not having worked miracles, or for not having been theologians, or not having been rapt in divine visions. But we shall certainly have to give an account to God of why we have not unceasingly mourned. **"
*Note: The English translation "Joy-making Mourning" is the rendering of the single Greek word "Harmolype", which is a beautiful and profound description of true Christian repentance. **Note: The Ladder of Divine Ascent of course was written for a primarily monastic audience, but the advice and passions and virtues described are common and applicable to both married and monastic alike. See this article for more details. 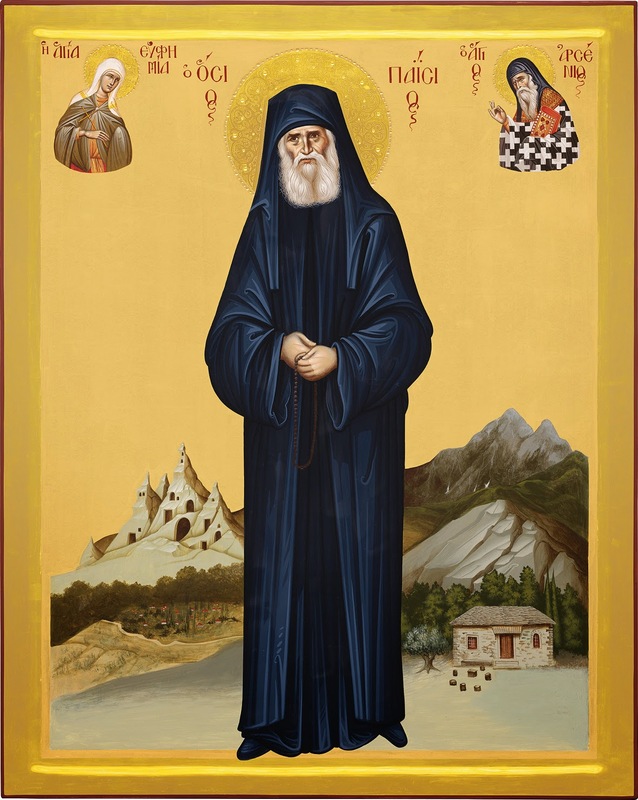 St. Paisios: "Everyone wants to sin and wants God to be good to us." "Men who are distanced from God are always inconsolable and doubly-tormented. Whoever does not believe in God and in the life to come, remains inconsolable and condemns his eternal soul. Whichever master one serves, from him will he be paid. If one serves the dark master, he will make your life dark from here. If one serves sin, one will be paid by the devil. If one works virtue, he will be paid by Christ. And whoever works for Christ, will shine so brightly, will rejoice. But we say: "Have we lost it working for Christ?" But this is terrible! Don't we recognize the sacrifice that Christ made for man! Christ was crucified in order to deliver us from sin, in order to re-purify the human race. What did Christ do for us? What do we do for Christ? Everyone wants to sin and wants God to be good to us. Let Him forgive us and let us sin. We, in other words, want to do whatever we want and we want Him to forgive us...Men don't believe, and because of this they rush towards sin. All evil begins from there, from faithlessness. Things take place...serious sins. 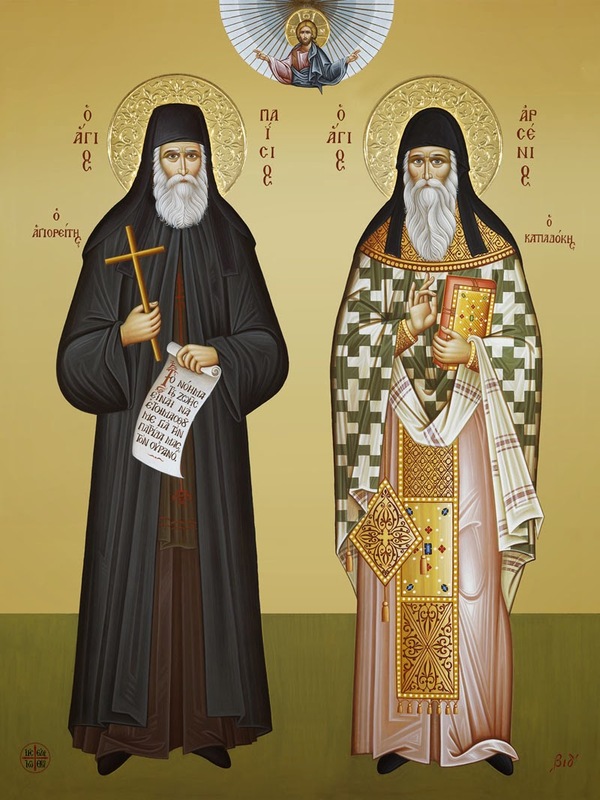 Not even the Holy Fathers had forseen such sins in the Holy Canons--like Sodom and Gomorrah, when God said: "I don't believe that these sins are occurring, I will go to see them myself!" If men don't repent, if they don't return to God, they loose eternal life. Man must be helped to sense the deeper meaning of life, to come to his senses, in order to sense divine consolation. Our goal is for man to ascend spiritually, not simply to not sin." "When man is helped to believe in God and in the life to come, eternal life--in other words, the deeper meaning of life--and repents, his life changes, and immediately divine consolation comes through the Grace of God, which alters man, showing him all of his inheritances. 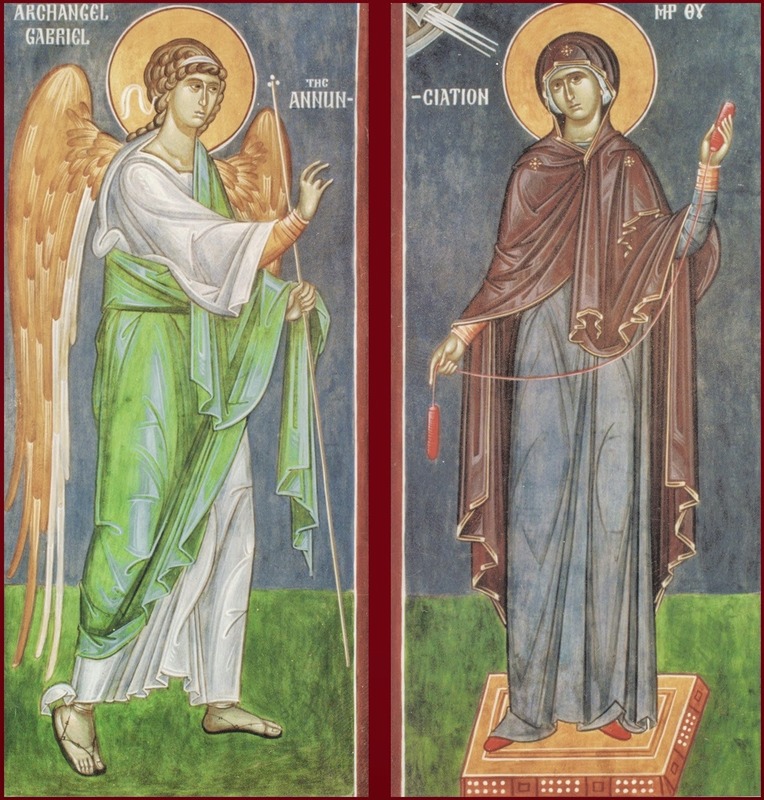 This has happened to many people who repented, struggling with philotimo, humbly, while they became full of grace and became Saints, and we venerate them today with reverence and ask for their intercessions, while previously they had many passions and inherited [negative] dispositions." Apostoliki Diakonia, the publishing and missionary arm of the Church of Greece, celebrates its 80th year of existence. Their headquarters are in Athens, and are centered around the shrine of St. Barbara in the Athens, where they treasure a wondrous icon and a portion of the Holy Relics of the Saint (see here for more details about that pilgrimage). 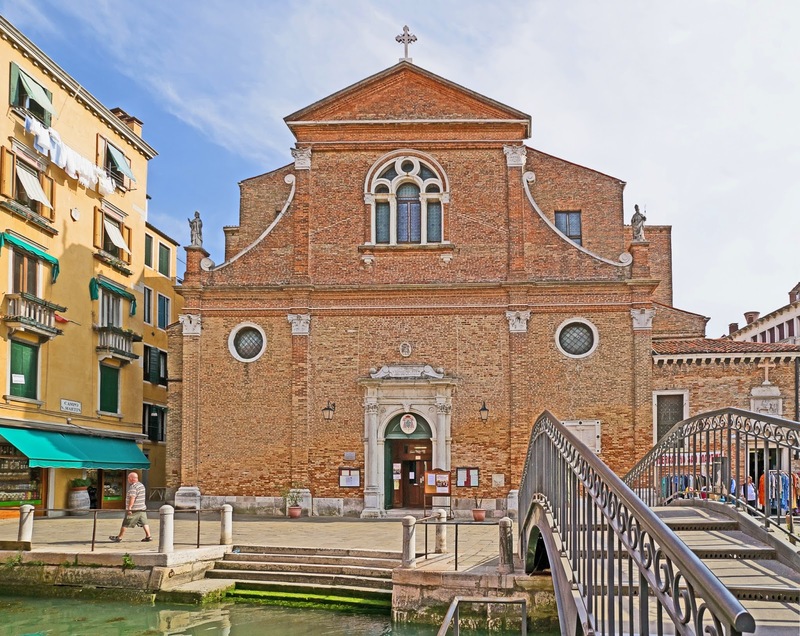 According to this new announcement, in honor of the anniversary of their founding, Apostoliki Diakonia will host the large portion of the Relics of St. Barbara (currently treasured in the Church of San Martino in Venice) at the church of St. Barbara from May 10th to May 24th. They will be greeted by the Archbishop of Greece Ieronymos on May 10th. The body of the Saint was transferred from Constantinople to Venice in 1003 AD. 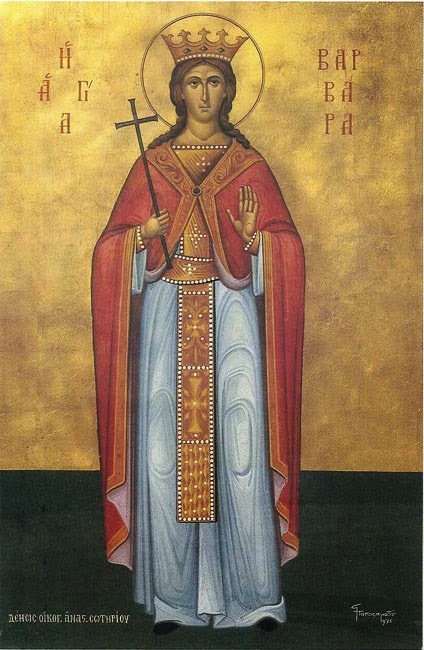 If you are able to, I encourage you to take advantage of the opportunity to venerate a great martyr, Christian example, and wonderworker of the Church, who has helped so many through her intercessions. Excerpt from a talk of Metropolitan Avgoustinos (Kantiotes) of Florina (+2010), at a summer camp in 1988. I will speak of the Cross, and at the end I will give you a small cross as a keepsake. I will talk to you about the Cross, which is the symbol of struggle and of victory, it is the weapon of Christianity. The Apostle Paul includes this at the end of his epistle to the Ephesians, where he speaks about thr spiritual armor of the Christians. And as you are not just plantings of the Lord, but also strugglers and fellow fighters against the world, yourselves and satan, therefore, I will offer you some words regarding the Cross, due to their timeliness, I hope that you will give them greater care. The Cross, my beloved children, the Cross is everywhere. It was at the summit of Hagia Sophia. It was illumined in the evening and enlightened the Bosporus, until the dark day when the Turks uprooted it, and in its place, placed the crescent moon. Let us hope that, “again with time and seasons”, that we might raise it again on the dome of Hagia Sophia. The Cross is on the domes of all churches. In the Holy Altar, the icon of Christ on the Cross takes center place, and under its shadow, stands the Holy Table and the Chalice and Paten and the Gospel. The Cross is on the graves. The Cross is on the Greek flag. The Cross is everywhere. What is the Cross? I will not speak of myself, but someone else who loved it very much, and preached it to all the ends of the earth will. This is the Apostle Paul. The Apostle Paul, in his epistle to the Galacians, writes: “But far be it from me to boast except in the cross of our Lord Jesus Christ, by which the world has been crucified to me, and I to the world.” (Galacians 6:14) With these words, the Apostle tells us what the Cross is. But let us try to explain this. Men have a tendency to boast. Scientists, rich people, great and small people take boast in two-thousand things. It is a rare thing to find a man who is not boasting in something...But while the world boasts in these false boasts, the apostle Paul boasts in another great boast, one exalted, eternal. He takes boast in the Cross of Christ. Why is this? He does not boast in the wood. 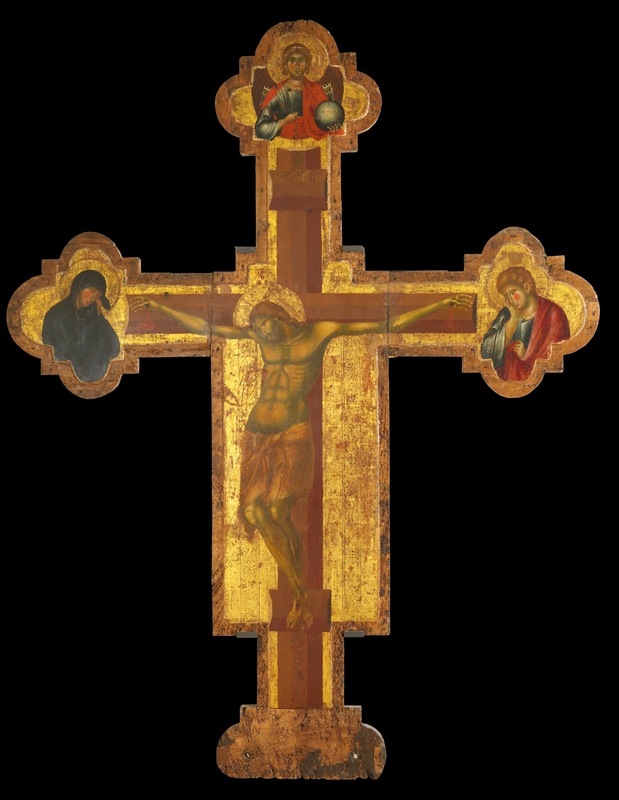 The wood of the Cross was known even before Christ, but this was not something worthy of praise, but of fear, for upon the cross were crucified the most-incomparably terrible people of the Roman society, who were condemned to the ultimate penalty, the penalty of death. Paul boasts, because upon the Cross was sacrificed our Lord Jesus Christ, and from then on, the wood of condemnation became the wood of blessing. Christ was crucified, not because He did anything wrong, like the other two “who were crucified with Him”, who confessed: “we are receiving our just punishment” (Luke 23:41). No, Christ was sinless, He was innocent, He never worked any offense. And as an innocent person, He should not have been crucified, as I remark in my book: “Towards Golgotha”, which I encourage you to read, but He was crucified on behalf of our sins. All of us—small, great, men, women—we are sinners and on us lies the burden of responsibility and guilt. On behalf of justice for our small and great sins, the debaucheries, the licentiousness, the arrogances, the blasphemies, and the other sins of our age, we should have been punished. Divine righteousness should have ordered that the earth open to swallow us up, and lift up the waters of the rivers and lake from Olympus to the Alps, and with a universal flood to drown everyone. Did God do this? Glory to Your forbearance, O Lord! You did not that which we deserved. You did not punish us. And not only did You not punish us, but You came to this world as a man, and took upon Your shoulders the sins of the whole world, of all the ages, as the One Who “takes away the sin of the world” (John 1:29), and You redeemed with Your precious Blood the debt of our sins. Christ was punished instead of us. The sinless One for the sinners, the Righteous for the unrighteous. “The blood of Jesus Christ...cleanses us from every sin” (John I 1:7). One drop of the blood of the sacrifice of Christ on the Cross is sufficient to blot out the sins of the whole world. If we could put the sins of all men on one side of a scale, and on the other, only one drop of the blood of Christ, the scale would lean towards the precious Blood! St. Porphyrios: "And what is Paradise?" "And what is Paradise? Christ," said the Saint, "When you love Christ, then, despite your sense of sinfulness and your weaknesses, you have the certainty that you have surpassed death, because you are in communion with the love of Christ. And may God make us worthy to see the Face of the Lord, both from the earth, and from there, where we will go." The wondrous icon of the Theotokos "Ierosolymitissa" ("Lady of Jerusalem"), a wonderworking and acheiropoietos icon (i.e. 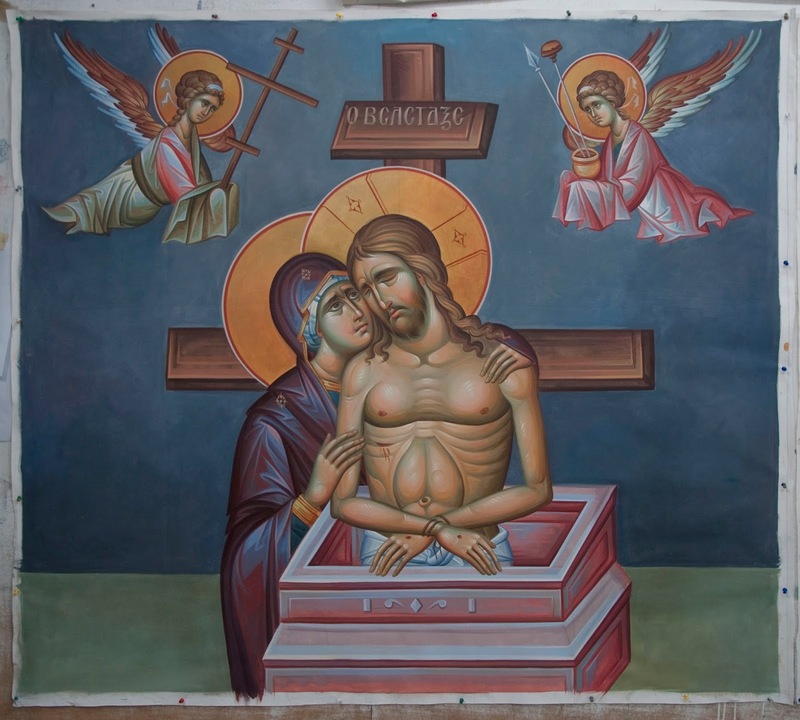 not made by human hands), of which St. Paisios of Mount Athos commented that it most-closely resembled the appearance of the Theotokos as she appeared to him, will soon visit Greece. 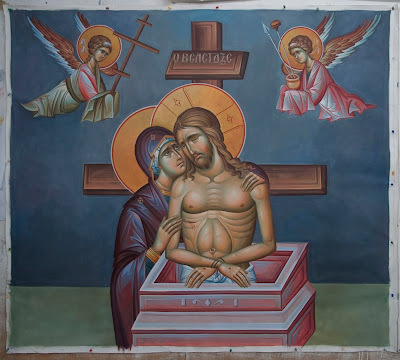 The icon, which rests in the All-sacred Tomb of the Theotokos at Gethsemane, will be taken on March 24th, 2015 by the Exarch of the All-holy Tomb of Christ in Greece, Archimandrite Damianos, to the Holy Church of the Anargyioi (Holy Unmercenaries) in the Plaka, Athens. It will remain there throughout the rest of Great Lent, Holy Week and through Friday of Bright Week (The Feast of the Life-giving Spring of the Theotokos. 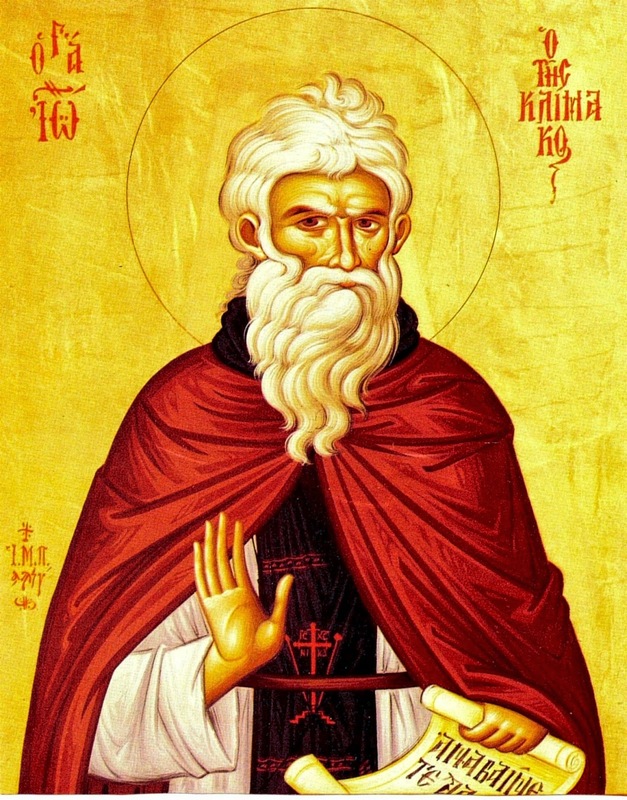 Throughout this time (with the exception of the Sunday and Monday of Pascha), the Holy Church of the Unmercenaries will remain open from 7AM (on days when there is Divine Liturgy) or 8AM (on days when there is not Divine Liturgy), until 7PM for veneration. This site lists the schedule of services, including nearly daily supplication services to the Theotokos. 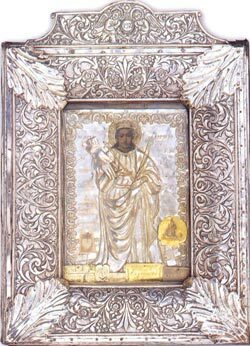 This is a great blessing for the people of Greece, and I recommend any who are able to go and venerate this truly wondrous icon (only otherwise available with a pilgrimage to the Holy Land) and ask for Panagia's help.